Welcome to the weekend! This week's Friday Five linkup is a Free Friday, which is always fun. I decided to share with you this week about an ambassadorship that I love. It also so happens the application is now open for 2016 ambassadors. So this week, for my free Friday I'll share with you some reason why you should consider applying. 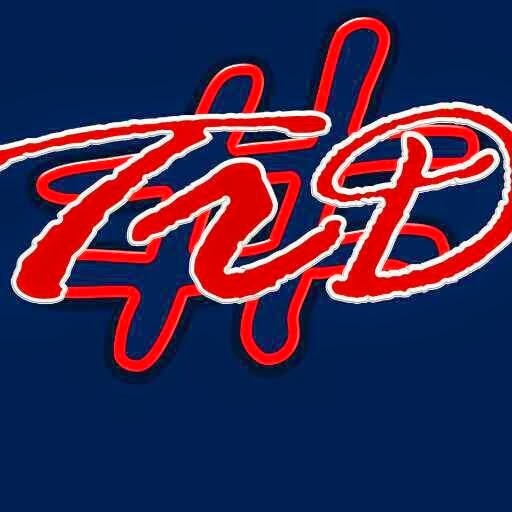 BibRave is a great site to find and write race reviews. So at the heart of that, is running races. 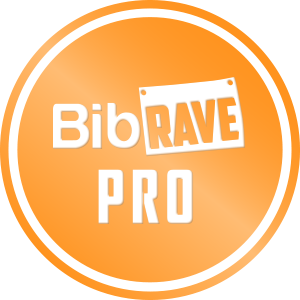 BibRave partners with races to give Pros the opportunities to run races for free in exchange for their reviews and experiences. 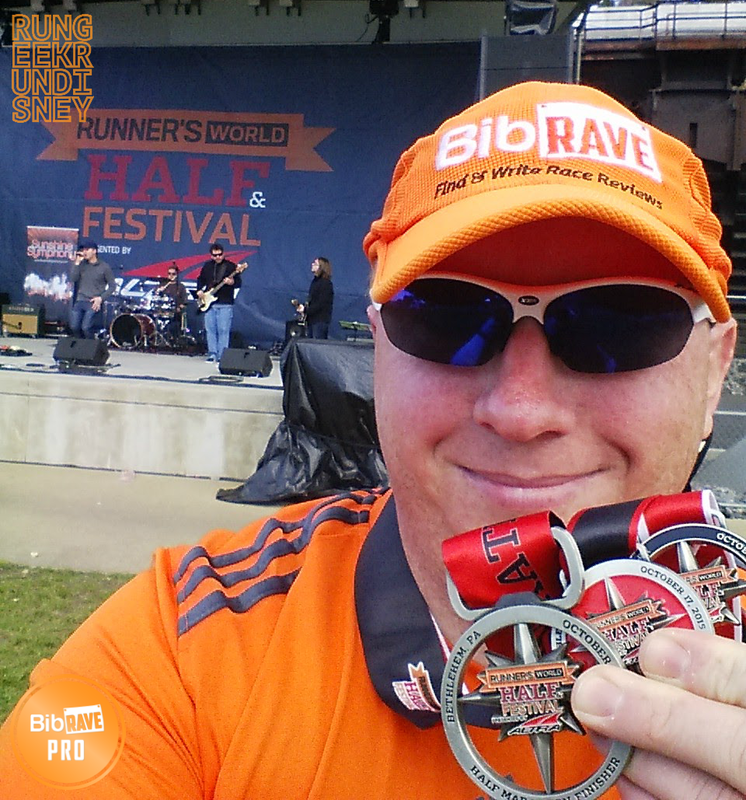 I recently ran my first race for BibRave, which was the Runner's World Hat Trick. You can see my experiences running the 5K, 10K and half marathon. 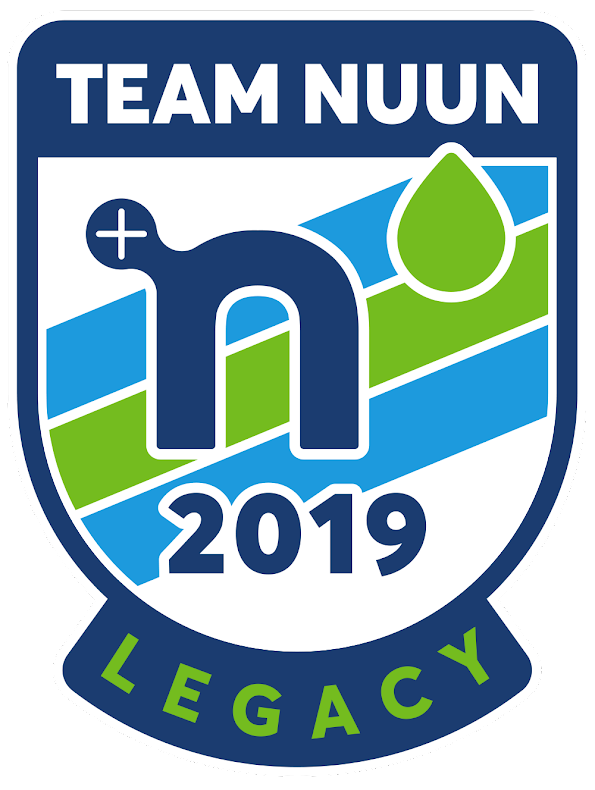 One of the great perks to being a Pro is the opportunity to test and blog about a variety of products, from compression and shoes to hydration and foam rollers. I've received some amazing opportunities to try some great products. I even found a love for neutral shoes when received a pair of Mizuno Wave Rider 18s. 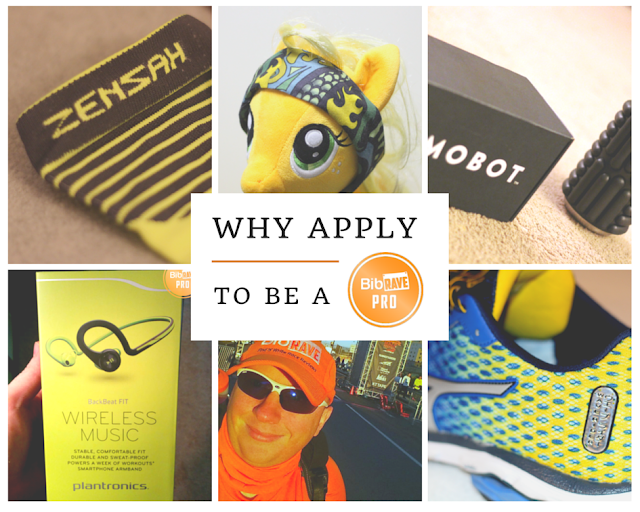 Some of my favorites included (after the shoes) my Plantronics BackBeat FIT headphones, my half Buff, and my first ever product tested, the Zensah Ultra Compression Leg Sleeves. I even have a couple of products I'm currently testing (be sure to look for my upcoming video review of the 2XU Elite MCS Compression Tights). While being a BibRave Pro, I've gotten to meet a lot of great other people. All the other Pros are awesome people. Runners always willing to share their experiences, encouragement, and knowledge. I've even gotten a chance to meet some in person at races, which is always fun. 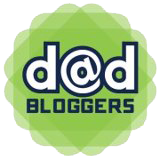 It's great to have a close community to talk running and blogging with. I must mention, you don't need to be a Pro though to share some of that. They are all very friendly, and you can find them in number 4. I've written previously about reasons to love BibRave. One of those reasons is the community surrounding BibRave, which you can find each week on Tuesday at 9 pm EDT. Each week, BibChat takes on a different topic. Some of the recent include "Running Style", "Running Tech", "Beyond Running", and "Running Tweaks". The chats are a lot of fun and you might even learn something. I know I have. Oh, and did I mention each week has a giveaway? Well they do. Much of the gear I've reviewed has then also been given away on the chats. Though, I recommend bringing a snack. I admit getting to try new gear is great. But we cant always all try everything or run every race for free. One of the great additional benefits Pros get are discounts on the races and on the gear. Now, sometimes we get some special discounts, I'll admit, but you want to know the truth? You can get many of the discounts as well. Just check out my discounts page (though it is due for an update). The latest gear I reviewed, XX2i Optics, offered 50% off your total order with the code XX2iRocks. Are you an ambassador for any product? I applied for this last week! I love reading about and reviewing races on their site so I'm crossing my fingers that I get in! That's very cool. Best of luck! I hope you get in too! I didn't realize this application process existed -- that's awesome! Will definitely look into it - thanks for sharing! Glad to shed some light on it. Always looking for new people to join. 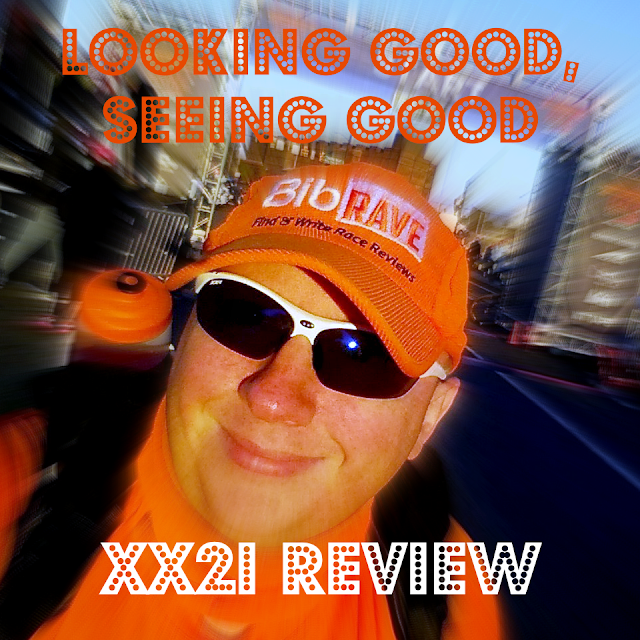 When I first got on line, I did do a review for BibChat. It was fun and one of the first people I met in this online running community was a BibRave Pro and she seemed to really love being an ambassador. Ginger! I am an ambassador for SunRype and I've done a few races. I kind of would like to do the RnR series since I have the perfect name for it right? lol Anyhow, thanks for the info and have a great weekend!! I will try and catch one of the #bibrave discussions. I've tried before but always seem to be offline at the time. I bet there's lots of info there! Hi Diane! How did you get to be an ambassador for SunRype? I love their fruit bars! You do have the name for them. I did RnR DC this past year and it was pretty good. Heard good things about Va Beach, Philly and Vegas as well. Yeah, it's hard to catch them all the time, but they're every Tuesday at 9 EST and a lot of fun. Hope to see you there sometime soon. i've thought about applying but i'm pretty much at my capacity in terms of writing right now. but i do sometimes hop in on the chats! Yeah, it's a great program, but there's time there to test and write. It helps me fill my time and gives me some good stuff to write about. You have a great blog, and could see how the extra time wouldnt fit in, haha. Ok, I keep saying that i'm going to look into this and you've finally convinced me! I have since given up some other ambassadorships so perhaps I should apply for this one! Awesome. Glad I could convince you. Sounds like the perfect opportunity for this, and I know you would fit right in. This seems like a great ambassadorship! I'm an ambassador for a few things but I'd like to take it to another level. This is a great one for that. I like because it's a really good variety and can be as much as you want to make of it really. Sounds like a great program. 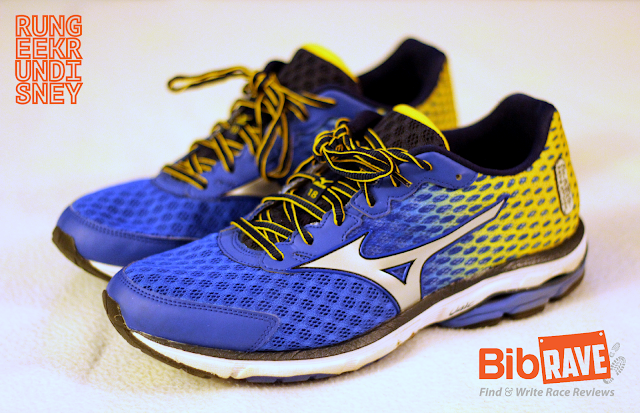 Those Mizunos are beautiful! They look good and feel good too.